Techne Global sports Health and wellness schools programme is a six week programme delivered by qualified nutritionists. Our new schools health programme can be tailored to meet the needs of each primary school school pupil from the age of 4 to 11 years of age. The programme has been made to educate pupils, parents, carers and teachers about the important information regarding the growth, development and skilled abilities of primary school children. Techne Global Sports aim to provide a fun and educational programme that will get pupils excited about nutrition and exercise. 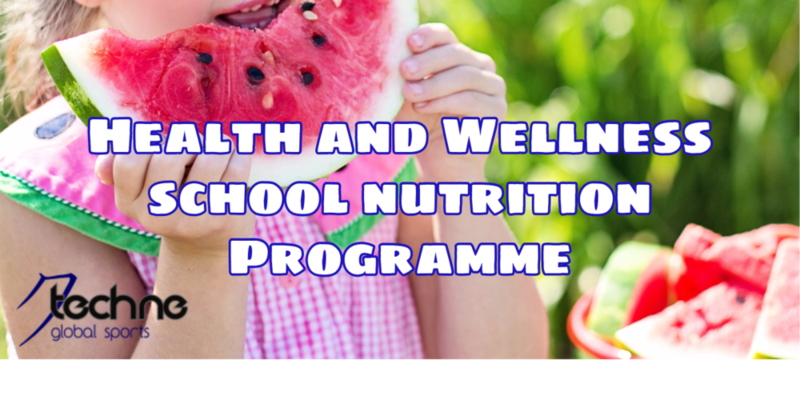 Our structured programme consists of nutrition packed sessions that are delivered to pupils on a weekly basis within the classroom and outdoor playing environment.